Composer Sebastian Fagerlund’s new opera Höstsonaten (Autumn Sonata) is approaching its premiere at the Finnish National Opera and Ballet. Based on the eponymous film by Ingmar Bergman and with a star-studded production team, the opera is poised to take the themes of the story to a new level. Composer Sebastian Fagerlund will see many years of work come to fruition when his new opera Höstsonaten (Autumn Sonata) is given its world premiere at the Finnish National Opera and Ballet in September. The production promises to be rather more fantastic than the Scandinavian realism of film director Ingmar Bergman, presenting Fagerlund’s musical idiom in a new context. But there are world premieres beyond the opera for Fagerlund. 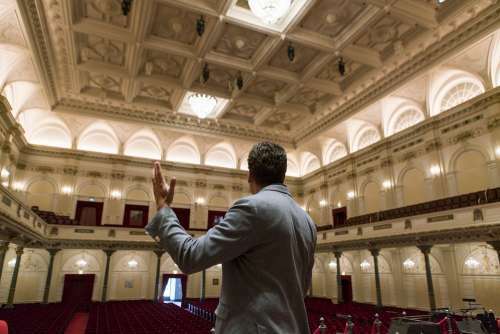 His composer residency in Amsterdam has proven fertile ground for new opportunities that are rapidly filling up his calendar, such as the premiere of his String Quartet no. 2 in October and a major orchestral work in spring 2018. The opera Höstsonaten is based on the screenplay for the eponymous film by Ingmar Bergman, released in 1978. Who had the idea of turning this screenplay into an opera? “It was suggested to me by Lilli Paasikivi, Artistic Director of the Finnish National Opera, when she asked whether I would be interested in writing an opera for them. I read through the screenplay several times, and the next morning I phoned her and said that it was a brilliant idea. I realised that this narrative had all the potential for a great drama,” says Fagerlund. The initial meeting in late 2012 launched a process that has included two and a half years of writing music and an extended administrative wrangle to secure the required permissions. Librettist Gunilla Hemming came on board early on, and director and set designer Stéphane Braunschweig soon followed. Charlotte, a concert pianist, played by Anne Sofie von Otter, comes to visit her daughter. The director did not get involved in the composition process or try to sell his ideas to Fagerlund, who commends him for taking such a restrained approach to commenting in mid-stream. “It’s a very delicate phase when you’re living with the characters, so to speak,” Fagerlund explains. The principal role of the opera, that of Charlotte, will be taken by Swedish star soprano Anne Sofie von Otter, and her daughter will also be played by a Swedish singer, Erika Sunnegårdh. The intense drama also has roles for Tommi Hakala, Helena Juntunen and Nicholas Söderlund. “For me, this is a dream team. They are wonderful soloists each with a fabulous vocal quality of their own, and they’re all so good on stage. Anne Sofie von Otter is so adaptable and can do many different things with her voice. It will be really interesting,” says Fagerlund excitedly. Opera and cinema are very different forms of expression, and in fact the original screenplay underwent a considerable transformation en route to becoming a libretto. 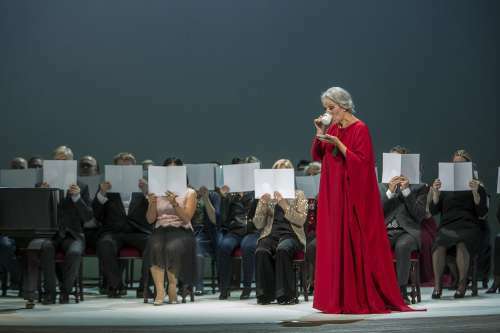 Fagerlund is full of praise for Gunilla Hemming about how well the libretto turned out. “The main thing with an opera libretto is that it must not have too much text, so that there is room for the music to convey events and emotions,” says Fagerlund. The film itself had only a tangential influence on the composition process: Fagerlund reports that he was unable to watch the film at all while writing. “I saw it about 20 years ago and decided once I had started writing that there was no way I could watch it again just then. I watched it when the opera was finished and had been sent to the publishers,” he says with amusement. For me, this is a dream team. They are wonderful soloists each with a fabulous vocal quality of their own, and they’re all so good on stage. But did Bergman’s style influence the opera at all? The story begins when Charlotte, a concert pianist, played by Anne Sofie von Otter, comes to visit her daughter at a remote rectory. The daughter’s husband is also there along with Charlotte’s younger daughter, who is ill. In the opera version, Charlotte’s dead lover Leonardo also appears on stage. This encounter releases repressed emotions that the mother and daughter find themselves addressing for the first time in their lives. “It’s a character drama with lots of emotion, set in an extremely confined space – if not actually inside the heads of the characters, then within the rectory. I had a lot of trouble figuring out how to resolve this musically. But when the pieces of the puzzle came together, the confined space no longer felt like a restriction. “When you talk about the human mind and about powerful emotions that people display on the one hand and try to conceal on the other, and then there are things that are said and that are left unsaid – what a huge and complicated world this is, after all!” says Fagerlund. Fagerlund is known for energetic orchestral works, and this sort of psychological setup seems like something completely different. Has he added something to his musical palette with Höstsonaten? “I’ve used the elements that I’m used to working with. The opera reflects things that I’ve always been interested in, such as the no-man’s-land between the real and the unreal; borderlands. I just placed them in a new context here,” Fagerlund explains. In addition to soloists and a large orchestra, Höstsonaten also employs the chorus in a substantial role, representing Charlotte’s audience. Fagerlund describes its role as similar to that of the chorus commenting on the action in ancient Greek drama. “Charlotte is utterly dependent on being the centre of attention all the time, and all her emotions are reflected against how the audience reacts. When the mother and daughter really start ripping each other apart, figuratively speaking, the other characters gradually begin to see the chorus too. It becomes such a powerful presence that the older daughter actually begins to converse with it. It’s a character drama with lots of emotion, set in an extremely confined space – if not actually inside the heads of the characters, then within the rectory. These dramaturgical emphases lend new facets to the relationships and meanings that exist between the characters. The internal dynamics of the family, with conflicting emotions and contradictory memories, create a rich network of meanings. What Fagerlund has on the drawing board now is an orchestral work jointly commissioned by the Concertgebouw, the BBC Symphony Orchestra and the Finnish Radio Symphony Orchestra. Its world premiere is scheduled to be held in Amsterdam on 21 April 2018. Earlier this summer, he completed his String Quartet no. 2, which the Kamus Quartet will premiere at the Concertgebouw on 11 October. 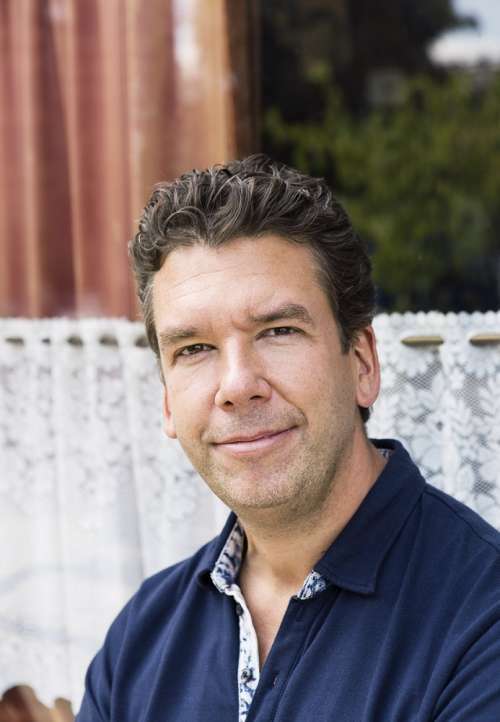 Fagerlund’s octet Autumn Equinox will be performed at the Concertgebouw on 6 December. These works are the result of Fagerlund’s one-year residency at the Concertgebouw in Amsterdam, during which he spent extended periods of time in the city. Although the residency kept him busy with various things, he had plenty of time to write; he had a studio both in his apartment and at the Concertgebouw. The idea with the commissions connected with the residency is that the works should somehow reflect the influence of Amsterdam. So how is this happening? “I’ve taken liberties with that notion. I don’t write programme music, and for the past ten years I’ve been using pretty much the same building blocks; those blocks won’t change overnight. “Having said that, I should note that the string quartet is subtitled From the Ground for two reasons. Firstly, it incorporates elements from my earlier works. Secondly, I lived beside a canal in the city centre of Amsterdam, and I read that it was in those city blocks that many of the things that define the city originated: trade, art and so on. The idea of something germinating, growing and spreading out is expressed in the subtitle. So you could say that Amsterdam did have an influence on this sort of abstract level, though not aesthetically or stylistically. In the Netherlands, people start off at full speed, and if you hit an obstacle, only then do you take a step back. The residency extended Fagerlund’s already wide network of musical contacts in the Netherlands, and many of his trusted friends appeared as guest artists at Fagerlund’s RUSK festival in Pietarsaari last November. Despite this international networking, however, the new string quartet was written for a Finnish ensemble, the Kamus Quartet, which Fagerlund favours with high praise. The Amsterdam residency has resulted in multiple opportunities for Fagerlund that extend beyond the Netherlands and even beyond Europe. So Fagerlund must have his calendar booked solid well into the future? Watch the Autumn Sonata here. Fagerlund’s music is available on record label BIS, and his music is published by Edition Peters. Sebastian Fagerlund's page on core.